I’m always willing to admit when I’m wrong, or in this case, overly critical. When Helvetios came out two and a half years ago, I did give it a positive review, but also noted that it was nothing new for the band, casting doubt over whether they can keep their momentum going for much longer. I’m not sure why, but in hindsight, I may have been looking for flaws, instead of just noticing them. At present time, Helvetios is my second favorite album Eluveitie has composed. Sure, it’s a bit long and some songs don’t stand out as much as others do, but that last part is almost always an inevitability. Its core sound is great, and I have no qualms with it. Eluveitie seem to have struck the perfect middle-ground between silly, beer-driven, fairytale folk metal ala Korpiklaani, Equilibrium, or Svartsot, and darker, thoughtful, genuinely nature-inspired bands like October Falls, Agalloch, or Falls of Rauros. Being serious with their music without sacrificing any catchyness is what’s made Eluveitie a household name on the current European metal map, and Origins definitely keeps the band’s momentum up, being the group’s finest release to date, the one Helvetios comes after. Let’s be clear here: Origins sounds just like like Helvetios did. The formula the band are operating with has stayed exactly the same. This is where me being overly critical comes into play though, because that formula just doesn’t seem to wear thin. Eluveitie never change their approach, but here’s the thing: they don’t need to! A band shouldn’t receive flack for improving their own sound with each passing release, on the contrary, they should be praised for finding faults that require microsurgery and for keeping the listeners engaged while staying inside the frames they so obviously have defined for themselves, which in itself is much harder to do than a full 180 degree turn. That’s why Origins is everything Helvetios is, only superior: it sounds better courtesy of a neater production job, it’s more vigorous with an array of spry songs, there’s no filler at all this time since the songwriting has been raised a notch, and it flows better as an entity as well. Really, the only thing Helvetios has on Origins is its outro: the epilogue of the former is such a strong, proud piece of music that you can easily imagine fading away to, while that of the latter is a more traditional, unsurprising closer. 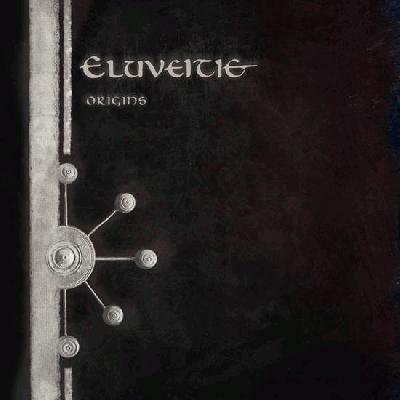 On every other level, Origins has the band’s other albums beat – currently, this is Eluvieitie at their peak. As a homage, Origins is a sincere and honest piece of music that does its inspiration source justice; as a rendition, it’s a kickass take on folk metal. If the ancient Celts had had access to today’s musical instruments, they might well have produced music akin to that of Eluveitie’s. We can never be sure in that, but like the members of Eluveitie know, that shouldn’t stop us from guessing and fantasizeing. As they are six albums into their career and showing no apparent signs of slowing down, I myself will make a positive 180 compared to the 2012 version of me and say that Eluveitie are on a path of all-round success that they should follow as long as it yields results. At our heart, we should all be music fans first and critics second, and the wider point here is that there’s no point doubting bands that haven’t given us much reason to. The successor to Origins will probably sound a lot like it again, but as long as the group finds new ways to improve, more power to them. I know I’m already looking forward to the next chapter in Eluveitie’s story, because the latest one has closed on a real high. Long time, no review, sup sputs. And noctus, c'mon, let's share some good vibes instead! On that note, thanks Johnny. Eh, well, you know. This does look good, though. Great review Magnus, I have heard anything from this band though, gonna spin the SC link in a minute. Great review, I still need to check this out. That it does my friend, that it does. Thanks a lot everyone, and even if we can't bond here, I'm with all of you digging the new Darkspace album! I've only heard The Call of the Mountains from this and I dislike it. Great review though.